Plastic water bottles are the boon and bane of modern society. 1,500 of the ubiquitous crunchy cylinders are consumed every second in the United States. While convenient for porting water, millions of the petroleum-based bottles never get recycled and instead wind up in landfills. The pint-sized environmental disasters do have a saving grace — partially filled, they’re perfect for flipping. 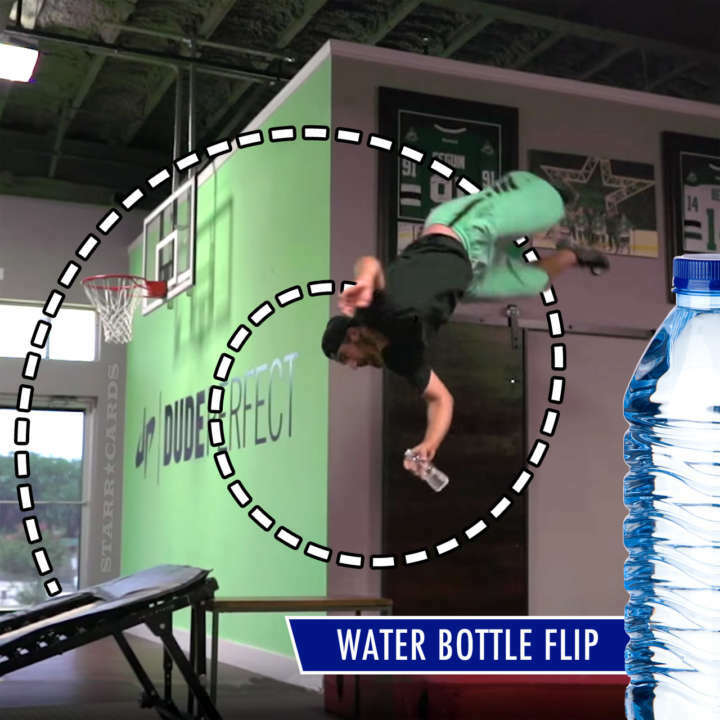 Australian trick shot crew How Ridiculous recently explored the myriad possibilities of water bottle flipping, including the never-before-seen double kick flip bottle flip. Not to be outdone by their Aussie counterparts, Texas-based Dude Perfect literally flipped out in putting together their own water bottle flip compilation. The highlight came when Tyler Toney initiated a bottle flip while flipping over the targeted table. In May, Mike Senatore, a student at Ardrey Kell High School in Charlotte, blew up his school’s talent show with a single, successful bottle flip. The senior’s audacious artistry set social media on fire and garnered more nearly 5 million views on YouTube. Anyone with a cellphone camera can get in on the fun. So, what are you waiting for?